Joint experiences such as corporate parties or team events are the best way to get to know your colleagues or employees better. 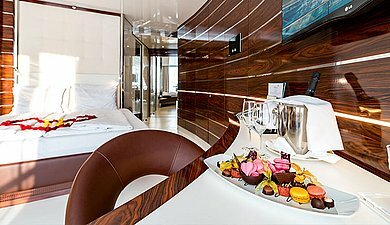 The Hotel Victory Therme Erding with its great event rooms offers the perfect opportunity to toast a successful project together. Tell your team thank you at an event in a relaxed South Seas ambience and take the opportunity to get to know each other even better. Or let yourself be inspired by our suggestions for teambuilding and challenge your colleagues to an action-packed slide duel in the Therme Erding! 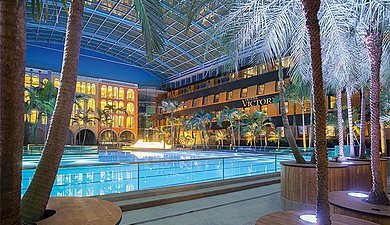 Celebrate with customers, colleagues and employees at the Hotel Victory Therme Erding. Discover our team events as a supporting programme for your conference.